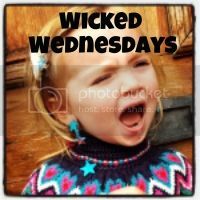 This entry was posted in Linky and tagged photo, wicked wednesday. Hilarious! Something my daughter has also done, assuming it makes her invisible! brummymummyof2 recently posted…Potty Training Won’t Beat Me This Time!